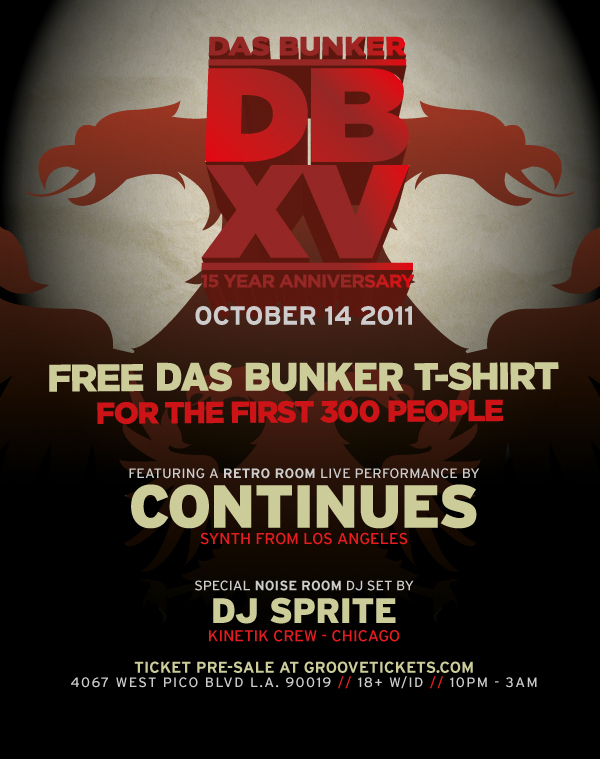 DJ Sprite at Das Bunker Oct. 14th! 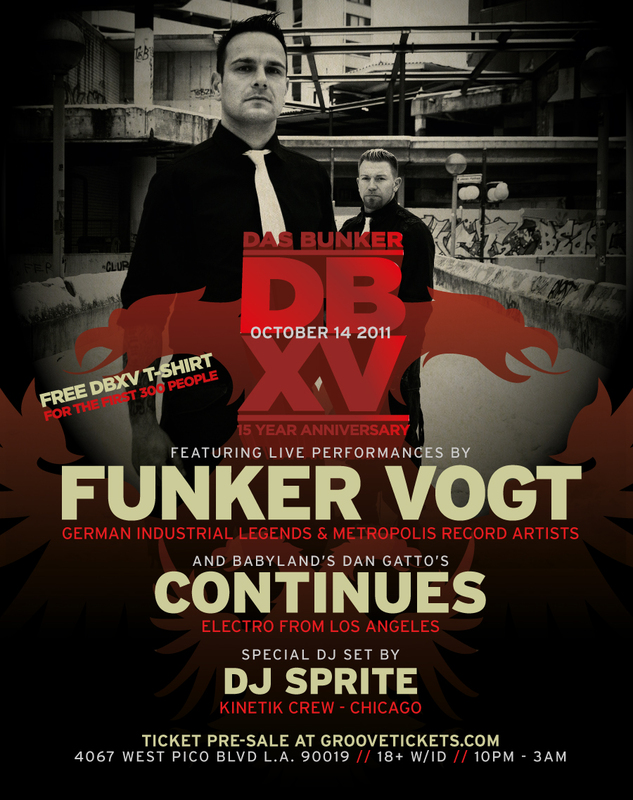 Kinetic’s own DJ Sprite will be spinning at the Das Bunker anniversary party in LA this month! If you happen to be in La-La Land, this event is sure to be epic! ~ by infomorph on October 4, 2011.